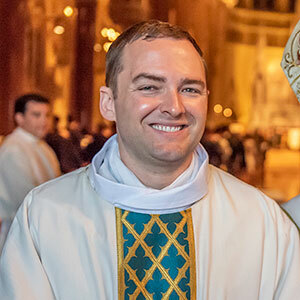 Three Fordham graduates are among 27 new Jesuit priests in the United States and Canada this year. All three, members of the Jesuits USA Central and Southern Province, were ordained June 9 by the Most Rev. Terrence T. Prendergast, S.J., archbishop of Ottawa, in a ceremony at St. Francis Xavier College Church in St. Louis, according to a release from the province. 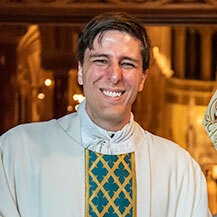 Jason C. LaLonde, S.J., a Florida State University graduate, worked in arts administration and in marketing before entering the Society of Jesus in 2007. 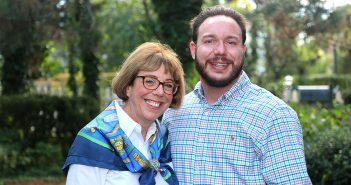 As a novice, he served in a village in El Salvador, assisting in the Jesuit parish and teaching English in an elementary school, before being missioned to Fordham, where he earned a master’s degree in philosophical resources in 2012. For his experiential formation, Father LaLonde taught English, Latin, and Greek at Jesuit High School in New Orleans before earning a Master of Divinity degree at the Boston College School of Theology and Ministry, where he is working toward a Licentiate in Sacred Theology. He served as a deacon at the South Boston-Seaport Catholic Collaborative, ministering at three churches, and his first assignment as a priest is at Immaculate Conception Church in Albuquerque, New Mexico. David C. Paternostro, S.J., graduated from Strake Jesuit College Preparatory in Houston and attended Texas A&M University for one year before entering the Jesuit novitiate in Grand Coteau, Louisiana, in 2005. As a novice, he taught remedial reading to second and third graders in Belize City, Belize, and enrolled at Fordham in 2007, where he earned a bachelor’s degree in psychology and a master’s degree in philosophical resources. Father Paternostro taught and served as an assistant theater director at Jesuit High School in Tampa, Florida, before completing a Master of Divinity and a Licentiate in Sacred Theology at the Jesuit School of Theology of Santa Clara University. Ordained a deacon in October 2016, he served at Saint Mary Magdalen Parish in Berkeley, California. During his Jesuit formation, he studied Spanish in Nicaragua, learned French in Paris, and traveled with students to World Youth Day in Rio de Janeiro. He is assigned to Immaculate Conception Parish in New Orleans. Michael J. Wegenka, S.J., attended Strake Jesuit College Preparatory in Houston and entered the novitiate in Grand Coteau, Louisiana, in 2005, working with the Franciscan Sisters at a community center and shelter in Tijuana, Mexico. After the novitiate, he earned a bachelor’s degree at Fordham and also taught confirmation classes at St. Martin of Tours Parish in the Bronx. For the next three years, he taught theology and literature at Regis Jesuit High School in Aurora, Colorado, where he also coached cross-country, took part in the vocations club, and helped lead retreats. Father Wegenka earned a Master of Divinity degree at the Boston College School of Theology and Ministry and worked as a deacon at Boston University’s Catholic Center. 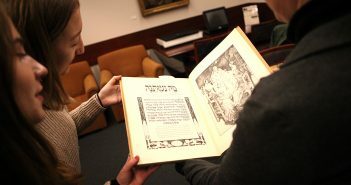 He expects to earn a Licentiate in Sacred Theology from the Catholic University of America in Washington, D.C., this winter. He has studied Spanish in Peru, attended World Youth Day in Poland, and worked with the Jesuits in Kyrgyzstan. 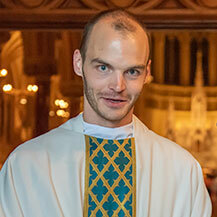 Father Wegenka is assigned to St. Charles Borromeo Parish in Grand Coteau, Louisiana.